This month, we’re honing in on behavior change to explore how it works practically inside a Vera Whole Health clinic. In this post, we’ll take a look at the stages of change, what they are, and how Vera providers and coaches use them to empower patients to take ownership of their own health. Changing behavior doesn’t happen overnight. It takes time and includes several key stages. Understanding the interplay of those stages can offer providers and health coaches insight into developing better treatment plans and goal-setting strategies. Precontemplation — Patients aren’t thinking about changing or don’t believe they can make the change in the next six months. At this stage, the pros of changing are significantly outweighed by the cons. Contemplation— In contemplation, patients are considering change and may take action in the next six months. Preparation— Patients are ready to change in the next 30 days. They may have even taken some steps toward change, like buying a gym membership. Action— In action, patients have started their new behavior, but have been doing it for less than six months. Examples include actively engaging in an exercise program, or successfully phasing out unhealthy foods from their diet. Maintenance— Maintenance occurs when a new behavior is successfully integrated into a patient’s life for more than six months. There is still a risk of relapse, but they feel more confident in their ability to change and improve their own health. To determine a patient’s stage of change, Vera providers use empathetic listening. Empathetic listening means truly listening to a patient’s goals and obstacles to better health. It means asking in-depth questions, truly listening, and going the extra mile to meet a patient where they’re at in their journey of change. Vera’s providers, whole health coaches, and medical staff are all trained in empathetic listening. During an appointment, the provider uses empathetic listening and listens for certain keywords or phrases that help them identify a patient’s stage of change. Keywords like "I won’t" might indicate a patient is in precontemplation stage, while those like "I may" or "I will" could indicate contemplation or preparation stages respectively. When a provider feels that a patient is a good candidate for change, they initiate the "warm handoff." 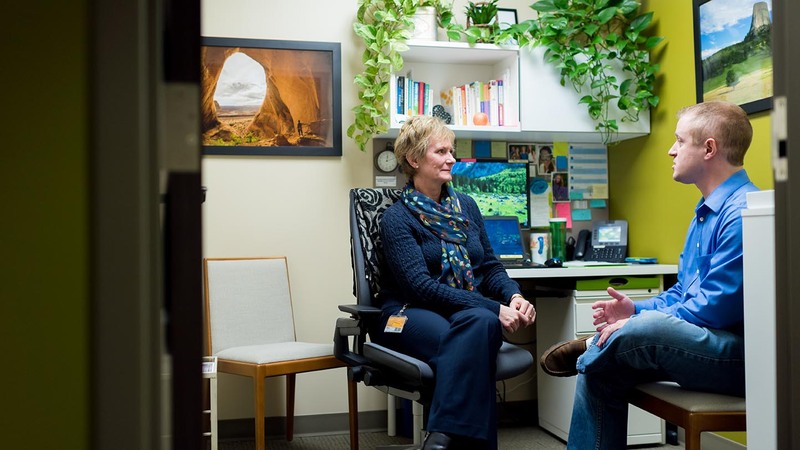 The warm handoff is simply a face-to-face introduction between a patient and health coach, but it has a profound impact on facilitating connections. Empathetic listening allows patients to trust their providers and the warm handoff transfers that trust from providers to health coaches. It also allows the provider to communicate the patient’s current stage of change. Health coaches are Vera’s behavior change experts. They work with patients to develop a personalized care plan that reflects their current stage of change. Let’s take a look at some examples. In precontemplation, a smoker won’t respond to a goal to quit smoking within the next month. Instead, health coaches will work to increase their awareness of the benefits of quitting and bolster the patient’s confidence that they could stop if they decided to try. By doing this, health coaches build trust with patients because they aren’t suggesting goals that don’t match their current stage of change. Instead, they act as empathetic allies. In maintenance, an obese patient who has implemented an exercise regimen is well on their way to losing weight and accomplishing their goal, but that doesn’t mean they aren’t still candidates for behavior change. To help reduce the risk of relapse, health coaches can help them integrate their new behaviors more efficiently into their lifestyle or serve as a source of accountability and support. Want to find out how your clinic utilizes behavior change techniques? Reach out to your customer success rep to learn more.